A renpitsu is a brush made by joining together several quality saishikifude (coloring brush) in a row to form a single brush resembling a hake. 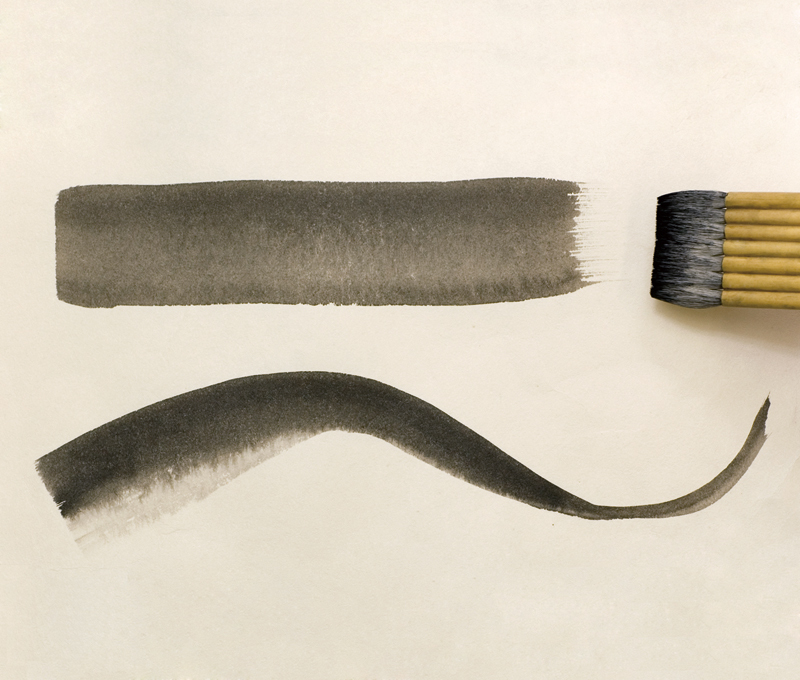 It is used to apply a soft wash over a wide area, add water and color to a painting, and create a blurred effect. In Chinese it is called a paibi brush. Renptisu have better water and paint holding properties than hake or flat brushes. This facilitates strokes with less prominent brush marks that produce expressions with subtle contrast in strength. It is also suitable for adding color to a wide area with a soft touch and other forms of soft expressions. The renpitsu has a unique shape comprising an odd number of brushes (3, 5, 7, etc.) bound together into one. The greater the number of brushes, the wider the wash it produces. The component brushes also come in several different widths such as narrow and medium wide. A type of renpitsu called kataha has a tip that has been trimmed diagonally at an angle. 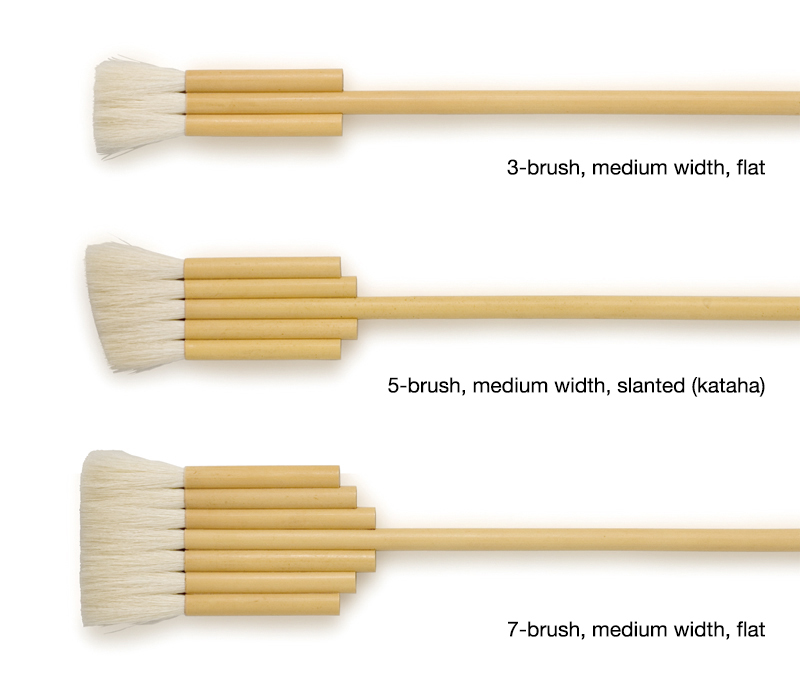 This can be used to draw lines of different width depending on how much the brush is tilted. Some renpitsu are made of white hair and others of summer hair. The white hair type is made of sheep wool on the outside and sheep wool, horse hair, raccoon dog hair or deer hair on the inside. The summer hair type usually refers to those made of deer hair because summer deer hair was originally used. Nowadays, because deer hair is expensive and harder to come by, brown horse hair is used as an alternative. After use, wash the brush in cold or lukewarm water. Drain off excess moisture and hang to dry in a well-ventilated location not exposed to direct sunlight. Renpitsu can be purchased at art supply stores that handle Japanese art supplies as well as at general art supply stores.